Attrition milling provides fast, efficient and reliable fine grinding of media including carbon steel, stainless steel, chrome and tungsten carbide. They are more appropriate for mid-range size particles. The HD-01 is a research attritor ideal for formulation, quality control and scale-up studies. Results are repeatable from one test grind to another for maximum credibility. 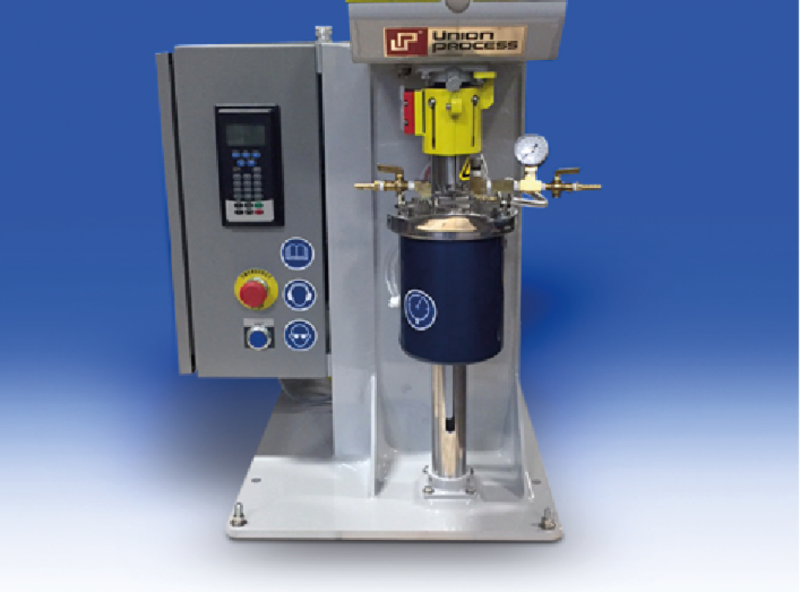 Designed for media from 1⁄8″ to 1⁄4″, it can be used for wet or dry grinding with shaft speeds from 100 to 650 RPM. With this machine, we are able to introduce an inert gas, overcome product contamination, change media size and type, and obtain precise energy consumption. The end product size can be as fine as 2-3 microns when operating in batch mode. The S-1 is a versatile, laboratory-size machine designed to meet virtually all lab grinding and dispersing needs – either wet or dry. Easy to scale up to production size with reproducible results from batch to batch, it is also suitable for small production or pilot plant work. It is designed for media ranging from 1⁄8″ to 3⁄8″ and runs at speeds of 100 to 500 RPM.